Game On: Learn about the divisioning process that differentiates Special Olympics from other sport organizations. 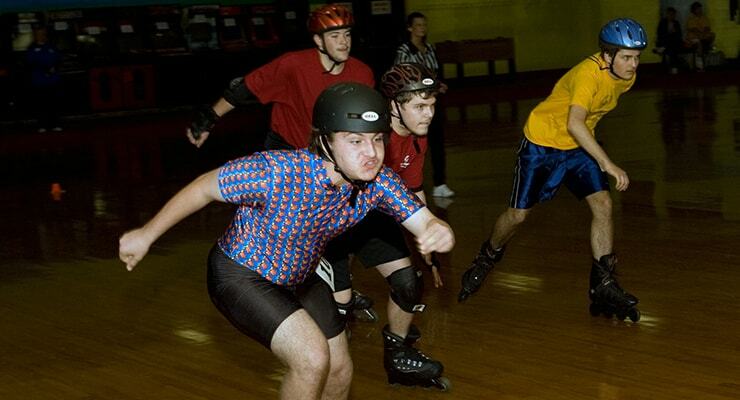 SONC offers roller skating speed events. There is something for all ability levels, from the 30 meter slalom to 1,000 meter race. SONC also offers two team relays in two-person and four-person teams. Always communicate with your local coordinator if you are interested in submitting registration for an event. Click here for a full list of Fall Tournament registration forms. SONC Fall Tournament will be held November 9-11, 2018 in Charlotte. Local programs are encouraged to invite neighboring counties to participate in invitationals, scrimmages, or leagues. Click here for some basic steps on how to get started. History: Roller Skating became a Special Olympics North Carolina sport in 1986. A demonstration of roller skating occurred at the 1985 Special Olympics North Carolina Leadership Conference in 1985. Roller skating moved from Summer Games to Fall Games in 1992. In 1991, four athletes from Special Olympics North Carolina competed in roller skating at International Special Olympics Summer Games. Sport Development Teams (SDT) are responsible for assisting with local and state level programs and competition, educating coaches and officials, and promoting active engagement among athletes throughout the year. Click here for more information.